Psychic Surveys – specialists in domestic spiritual clearance – have never been busier. Although exhausted, Ruby is pleased. Her track record as well as her down-to-earth, no-nonsense approach inspires faith in the haunted, who willingly call on her high street consultancy when the supernatural takes hold. Two cases prove trying: 44 Gilmore Street, home to a particularly violent spirit, and the reincarnation case of Elisha Grey. When Gilmore Street attracts press attention, matters quickly deteriorate. Dubbed the ‘New Enfield’, the ‘Ghost of Gilmore Street’ inflames public imagination, but as Ruby and the team fail repeatedly to evict the entity, faith in them wavers. 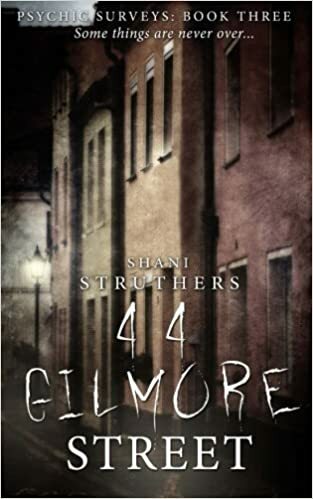 The 3rd book in the series 44 Gilmore road is a scary tale of haunting and possession. I hadn’t read the previous books and at the start of this one I did feel a bit like the late comer at a party. The need for Ruby to take a Holiday was made clear all the way through the book and I never knew why. I didn’t take to any of the characters, without knowing too much about them I couldn’t understand their motivation. Ruby annoyed me, especially with her attitude to not taking the reincarnation job. Its not a poorly written book and fans of the author and genre will lap it up, But it wasn’t for me.